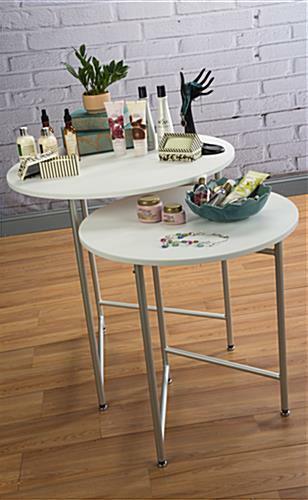 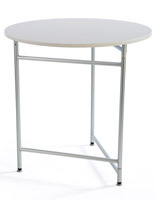 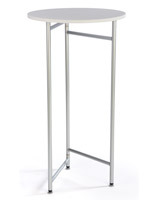 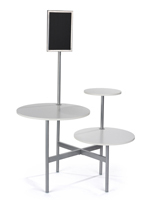 These nesting display tables offer an easy means of highlighting certain merchandise or making a presentation. 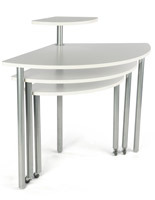 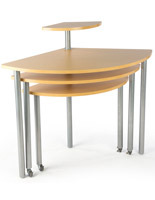 You get two tables with purchase, one large and one small that can be used separately or in tandem together. 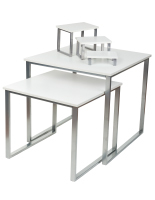 The nesting display tables ship flat and simple assembly is required. 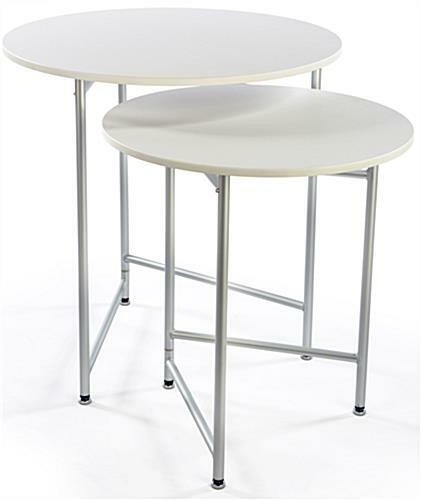 The legs are made from aluminum and sport a satin silver anodized finish. 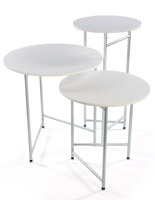 The tabletops are made from MDF with a white plastic covering that is easy to clean. 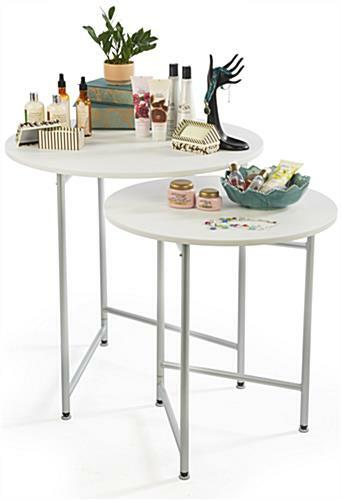 Buy our nesting display tables to place inside your retail store for product presentation or promotions!